The Chipper Clipper: Free Clean Kids Reusable Towel when you sign up at Papoose! Free Clean Kids Reusable Towel when you sign up at Papoose! Hey all my local Mamas! Here is a great offer from Papoose. Go to their facebook page and "like them" then fill out the form to receive your free Towel! Because we all know how messy our kids can be! Also here are some Earth Day Deals from Papoose! PART 1 - Give and Get: Bring a recyclable soda can or water bottle to Papoose and in exchange get a Clean Kids Reusable Washcloth or a Charlie's Soap Trial Pack. 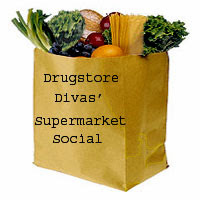 PART 3 - Bring in your own reusable shopping bag and take $1 off your total purchase.